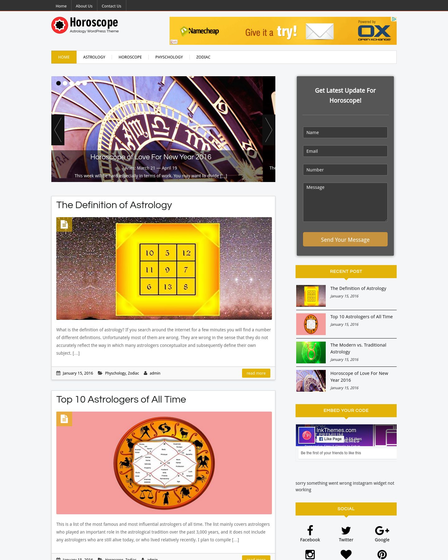 For Tarot Card Reader, Astrologers, Feng Shui Experts, Horoscope Tellers, Online Fortunetellers & All Alike Affiliates. It is a simple 3 letter spreading Past, Present & Future. Every person on the planet wants to resolve the mystery of future & wants to know what future holds for them. 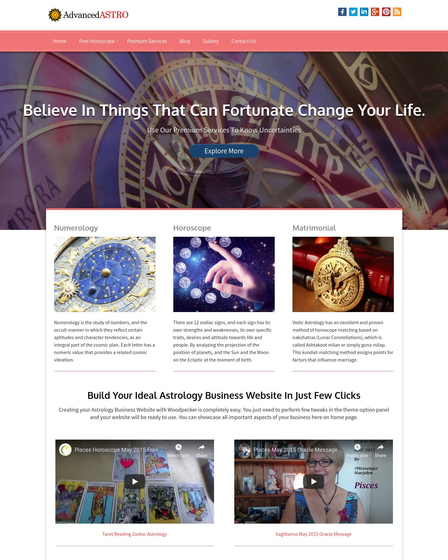 So we came up with the powerful and responsive Palm Reading WordPress Theme which avails you to give information on palm reading to your customers on their devices. The template has many integrated features to boost your future prediction work. 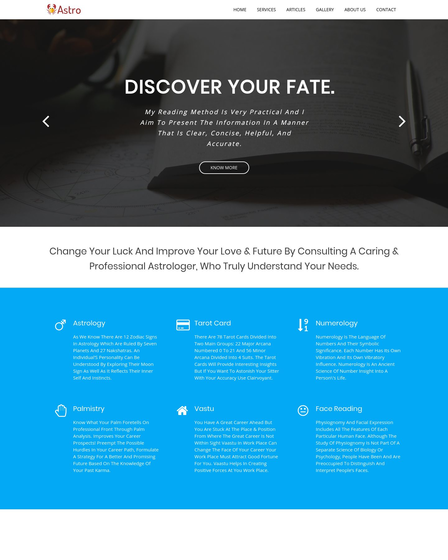 Palmistry makes the best match for the professionals like tarot card readers, astrologers, horoscope tellers, feng shui experts and many more of the same kind. 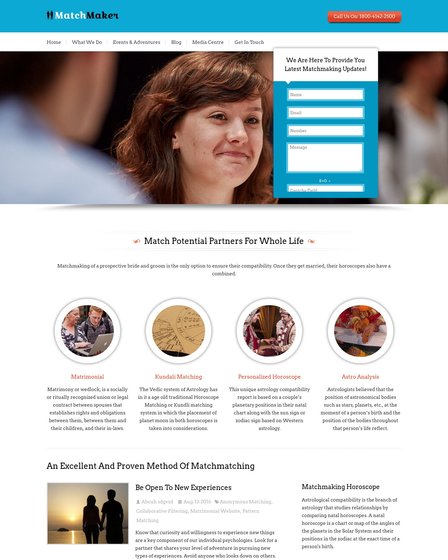 The template has a free lead capture form, through which you can collect the client’s basic details. The information can be later used to send latest updates of firms via emails, thus it leads to email marketing of your organization. The form flashes on the homepage sliders, using which the site visitors can drop any message or query to your agency. Palmistry template offers 4 column service section on the homepage, where you can display palm reading services briefly. This section helps you to fulfill the curiosity of the visitors to know complete details of your work field. 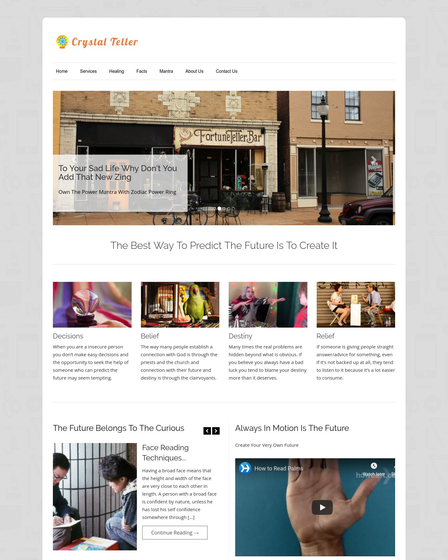 The theme is implanted with the blog feature, where you can share your ideas, information through it. This portion allows you to reach your words to a large mass of people. All the recent blog posts are displayed on the front page, along with images, which makes it easy for site visitors to browse relevant information. The sidebar section of the template grants you to upload any videos related to your future forecasting work. The video gives the clear information to the visitors regarding your work. The gallery section of templates avails you to create your future reading work portfolio on a full-width page. The gallery page also flourishes you to put images of your achievements in an organized & professional ways. Update organization logo in the top left of the header.